Packaged snacks are universal. But every household has that one shop they swear by when it comes to desi snacks. And for the whole of Thane, Prashant Corner is that name. Be it festival time, family celebrations, or corporate events, Prashant Corner brings the choicest of delicacies from Maharashtra, Bengal, Gujarat, Madhya Pradesh and South India to the table. 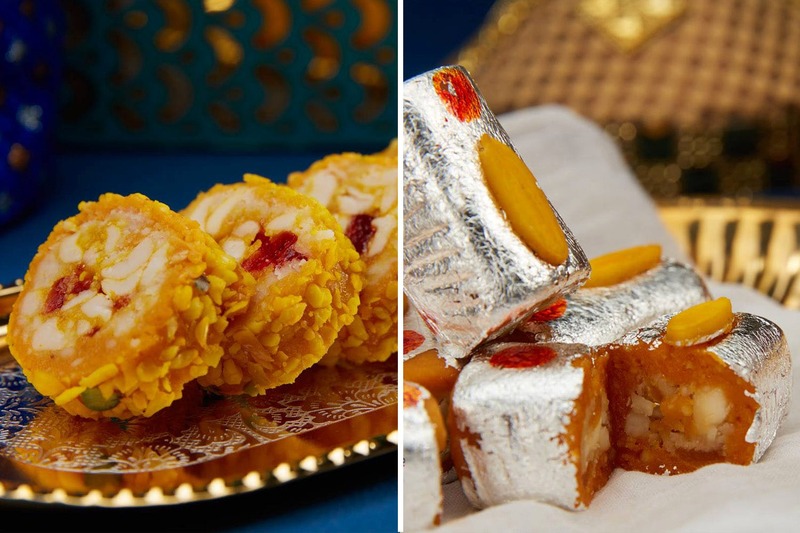 The specialities include a range of Indian sweets like pedha, burfi, laddoo, jalebi, halwa and more. And a variety of flavours for each of them. For those who can’t resist sweets but are on a strict no-sugar diet, they can get sugarless preparations here which are made of natural elements like black current mango burfi, anjeer dry fruit mithai, and crunchy honey almond. They have an exhaustive savoury section as well. Some of the highlights are aloo vadi, variety of samosas, and Maharashtrian specialities like kothimbir vadi, uphaar wati and special fafda. If you’re visiting their store in Thane, you can dig into some quick Indian lunch items as well while you fill your bags with things that you're going to take back with you to relish with your cup of chai for days to come. From your mithai dabbas, or even your everyday munchies, Prashant Corner has it all in every variation and flavour imaginable. And while you’re there, make sure you have their pani-puri; it’s legit amazing.